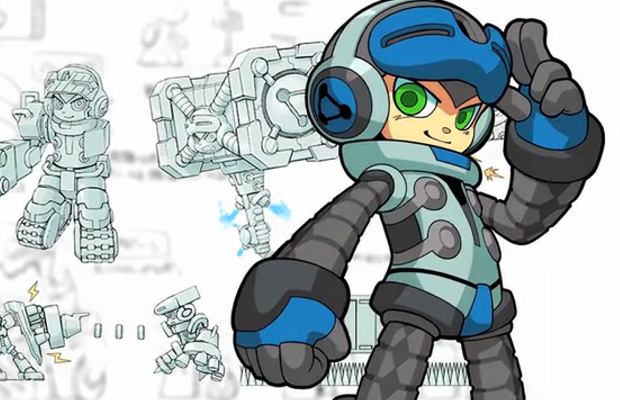 The excitement from Mega Man creator’s Kickstarter project Mighty No. 9 continues to ramp up as it’s now coming to current generation consoles and Nintendo’s Wii U. The stretch goal was for $2.2 million and it reached the goal late last night and it only took 17 days. This is also in addition to PC, Mac, and Linux versions. Nearly 40,000 supporters have already backed the Kickstarter, well over-funded from its original $900,000 goal. But it’s not over yet. There’s still 14 days to go and a lot more cool stretch goals to be attained. $2.75 million well net us an online co-op mode while $3.3 million will net us the PS4 and Xbox One versions. So no next-gen version yet but we can make it happen so don’t throw away your old consoles just yet. For those unaware, Mighty No. 9 is a classic side-scroller in the vein of Mega Man from the creator Keiji Inafune. You can check out the Kickstarter page and back it to get your own copy or spend more to get even more goodies like a retro box or a t-shirt. Let us know in the comments about Mighty No. 9 reaching consoles or let us know over Facebook or Twitter.